Self Storage is an easy, cost effective and secure way of storing anything from a removal box to the full contents of a house. You transport your possessions either by yourself or use a Removal company and put them in a locked storage room or larger unit of a particular size to contain your belongings. Try to gauge the space you need so you do not book a space that is too big which will cost you more money. Generally you will be the only person to have access to the unit, bring your own padlock they can be over priced when buying at the storage company. If you are moving to another city it may be an idea to leave a key with the storage company. If you do book a removal company to collect your belongings you don’t have to be there in person. This can sometimes save you time and money if say you have moved from Manchester to London removals and your belongings are in Manchester storage. Nearly all cities and towns have storage companies, so it is a good idea to get two or three quotes. These will usually be based on price per cubic meter. If you need to make regular trips to access your belongings it maybe a good idea to book a storage company that is close by. Always visit the storage facility before booking your unit to get a idea that it is run correctly reputable. Storage companies are usually members of storage trade associations like the SSA. When you decide which company to use, you will be required to sign and read an agreement before you can access your storage room. Some storage companies offer 24 hour access, others operate on a 9 to 5 basis with limited hours on weekends so check opening hours. If you have a big consignment to store allow for unloading, do not turn up 10 minutes before closing time. Self Storage companies have units over a number of floors with a goods lifts big enough for most household items. However also be geared up to have to carry things upstairs. Barrows and sack trucks will be available to help with getting belongings from the van to your storage room. Make use of these, let them do the work not your back!. Goods not allowed to be stored are flammable, explosives, perishable foodstuffs or materials of a dangerous or illegal nature. Check with the storage company about their terms and conditions but most will not allow these goods. Clean your garden equipment before storing it, bikes, metal tools and hand tools. To prevent rusting if they are in storage for a long time by wiping with an oily rag before storing. Make sure that all appliances are clean and dry and empty. Defrost freezers and fridges fully before storing. Place plastic sheeting on the floor of your storage room. If you have a large storage room leave a walkway to gain access to items if you need to. Place heavy or bulky items in the room first to provide a good stacking base. Plan your storage space put those items that you need to get to most often near the front. Pack to the ceiling by placing heavier items like chests of drawers and wardrobes on the floor. Lighter fragile items can be placed on top. Fill all the spaces gaps with softer lighter items like bags bedding and cushions. Close and lock door and don’t forget to lock and log room number. Welcome to Nicks UK Removals blog where i intend to give moving advice relating to all aspects of relocating. I will also post regular news and views on life in my world! Moving home can be a stressful experience if you are not organised so i will give advice on booking a removal company and getting the correct removal quote click here for your move. Once you have decided you are moving there is many things which need to be done from changing addresses of all contacts from credit cards and banks to friends. Removal boxes can be ordered online and delivered to your door in good time i will add tips on packing to keep belongings secure. 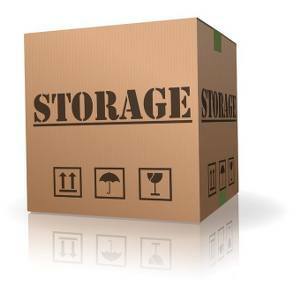 If you need storage i will give details of packing storage unit and getting the best price. Many people are also moving to European destinations so i will cover all aspects of Euro moves especially movers who are heading to France and Spanish moves its great living in the sun but make sure you know the pitfalls so life is good. I have many interests including the history of the Blues music, Blues is the name given to both a musical form and a music genre shaped within the African American communities in the Deep South of the American States at the end of the 19th century from spirituals like church songs, work songs, field hollers, shouting back and forth while working. It was revitalised by early sixties youths from the UK. I have also taken to learning blues guitar i must say very late in life so it is a struggle when ones mind is past its learning best. I am also in the process of painting some of the leading figures in the history of the blues, oil painting is another interest i have so will probably be posting some of my work in future.